Thinking of celebrities we invariably assume that they have at their disposal sums of money which we cannot even begin to dream of. All those singers, TV and movie stars, athletes can afford everything they may fancy with their outsize incomes. Their clothes would be designer ones, they are plastered with choice jewelry, they get only the best accessories. When they are seen in a car, it is a Lamborghini or a Bugatti, and the houses they live in are luxurious beyond our imagination. The social media doesn’t tire of feeding us some extra evidence of their living on the largest scale possible. Well, some of them really do – but there are quite a few others who are clever at putting up pretenses. They look like they had tons of millions of dollars, and they show off their fortunes in every way – for the good reason of not having them. They look impressive on the media, but do they really sign enormous contracts for making an album or participating in a movie? Not always; sometimes they are forced to get busy endorsing products because they need those extra bucks to keep them going. They want to get paid quickly for their appearance in advertisements, but they don’t get that much for them. Celebrities on this list found it difficult to earn as fast as they spend. No wonder they ended up broke. Right now their budgets can easily be as tight as that of many ordinary people who have to scrape. You must remember David Hasselhoff’s muscles as presented to the world on Baywatch. His well-shaped body brought him millions. But when it came to his family life, the muscular actor fell flat on his face. His fights with Pamela Bach, his wife, turned into a regular war that led to turbulent divorce proceedings. The result of the divorce was Bach grabbing $250,000 of Hasselhoff’s fortune. This brought up another series of fighting that has been going on ever since their divorce in 2006 with the actor trying his hardest to bring down the payment. According to him he doesn’t gross more than $112,000 and his expenditures run to about $65,000 – so what remains once Bach has received her money? With taxes detracted, Hasselhoff is left absolutely penniless. He says his monthly living barely comes to $4,000, and there is no way he could cut it finer. He attempted to make things look brighter by arranging a European tour, but it turned out to be a failure and had to be aborted – the tickets didn’t sell well at all. Then, he went on television with a show of his own, Hoff the Record, yet this venture’s outcome is also doubtful. 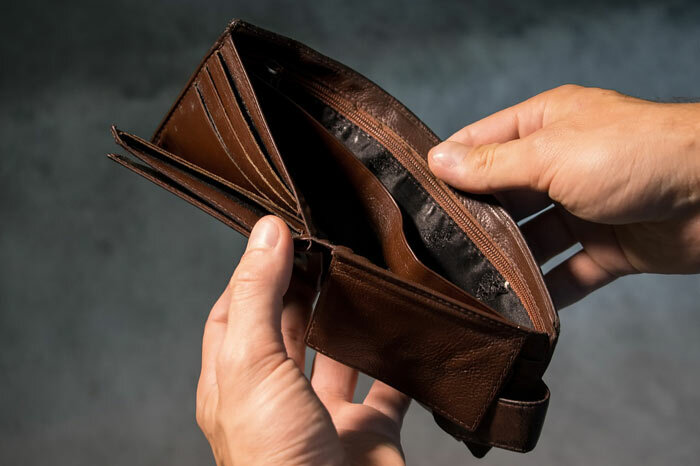 The only thing that can get his finances back in place is his recent engagement to Hayley Roberts so that he could pay his way better with the help of his fiancée. 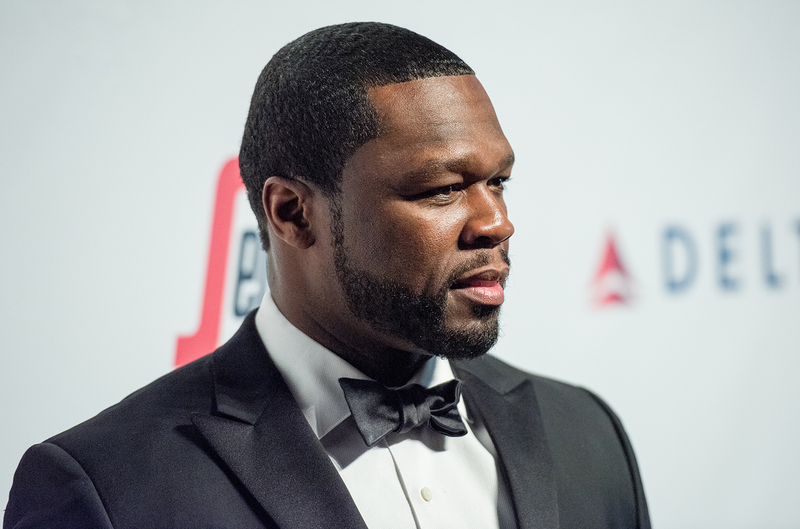 Discussing his financial position with The Guardian, 50 Cent claimed jocularly that he doesn’t think much of his bankruptcy – “It was just me getting my discount.” A nice discount, that one, with 50 Cent up to his ears in debt and having to resort to bankruptcy proceedings. As stated in court papers, his debt is $36 million and some more! Apart from his uncontrolled spending, the sum includes lawsuits: $17 million charge for copying a print off headphone manufacture, and $7 from sharing a controversial video featuring a woman whose consent he failed to secure. Those aren’t the only mistakes he has made. Now the high-end cars he used to drive weren’t even his – it appears they were his friends’, borrowed to make a statement. How do you like that? In addition, he had a picture on the Instagram where he had made the word “BROKE” out of piles of dollars, thousands of them. In the court he was asked about the source of that money and replied that they were fake banknotes. So while there’s no saying but that 50 Cent has great talent, he will have to whip up his talent to get him extra money so he can redress his huge debts. Now this is somebody you didn’t expect to see here, did you? Or maybe you have seen the claim in The Richest that Depp could find himself on the list of “15 Celebs We Predict Will Go Broke by 2018”? Why could it ever occur? So far nobody knows exactly. The A-lister is sure he had fallen victim of his financial managers whom he sued for gross mismanagement. In their turn they assert that it was his doings that resulted in his fortune having been squandered away. Wherein lies the truth? While the answer is not clear, we all know that Depp was a good hand at spending. His hard work in the movie industry for more than a decade brought him something like $650 million – and it has gone! Following his break-up with his partner of 14 years’ standing, Vanessa Paradis, he did start to throw away money. The separation hitting him hard, he took a down spiral and virtually burned dollars by thousands. To add aggravation to his heart and his bank account, he married Amber Heard only to divorce her soon creating an untoward sensation. It seems that Depp’s expenses have been all over headlines throughout the media. It is believed the actor has been buying wine for $30,000, diamond cuffs for $400,000; private jets cost him $200,000, and objects d’art took him back millions. Probably Depp is right and he can sue $25 million off his financial managers, that won’t get him anywhere much. The fortune is gone. No matter how rich and famous one can be, every fortune can be misspent, and Lisa Marie Presley is a vivid instance of that. Her father was Elvis Presley, the rock’n’roll king of the world, and she could have lived in clover with the money he earned. She inherited Elvis’s estate worth $100 million! Instead she is in heavy debt. According to The Blast’s story the king’s daughter accuses her financial manager of having left her stranded. Her story runs that Barry Siegel, the manager, has been biting off her inheritance for more than a decade and succeeded in liquidating most principles of her trust. It seems the trust now carries only the remainder of $14,000 – and that is all the more worrying because Lisa has a huge debt. Whatever Siegel’s part in the wastage of the famous rock’n’roll fortune was, it is no secret that Lisa can fritter away money at a great speed. That is borne out by the fact that her credit card debt exceeds the $500,000 mark. Priscilla, Elvis’s wife, took on another CEO who, by managing Graceland successfully, increased its profits thereby salvaging the trust. It helped Lisa to deal with her debts, but not for long. With her lavish habits getting the better of her, the Presley heiress was in the red again in a few years’ time. It emerges from Lisa’s court divorce documents that she has an income tax debt, a credit card debt and a defaulted mortgage. Sadly, it looks like there’s no saving her from herself. Lindsay Lohan has been in the public eye since she turned 10. From her green years she has been among celebrities and got accustomed to leading a typical celeb kind of life full of luxury and boundless spending. As she grew older she not only emulated this lifestyle but excelled in it making media headlines with her behavior, partying, relationships, and – not the least – financial state. For about a decade ago Lohan was among the highest earning actresses in the world, and now she has practically nothing to show for herself. When Lohan’s movie appearances came to naught, she made herself scarce for a while, finally turning up in London on the arm of a Russian boyfriend called Egor Tarabasov. Then her financial troubles got unleashed. It appears Lohan was behind with her rent for her London apartment which costs $4.5 million – and her landlord lawyers keep pressing her about paying attorney fees of $100,000. Besides, Lohan’s one-time driver came up with the claim that she had interfered with his chance to make $30,000, and instituted a suit against her for $44,000. So far the former actress paid him only $17,500. As soon as she broke up with Tarabasov her problems doubled. Most of what was said about her is probably unfounded gossip, yet it must not be pleasant for her to hear claims that she robbed her boyfriend of thousands of dollars’ worth jewelry. Tarabasov further stated that he had been paying Lohan’s bills, the statement that was repudiated immediately. Still it certainly looks very much like Lohan’s financial attitude. 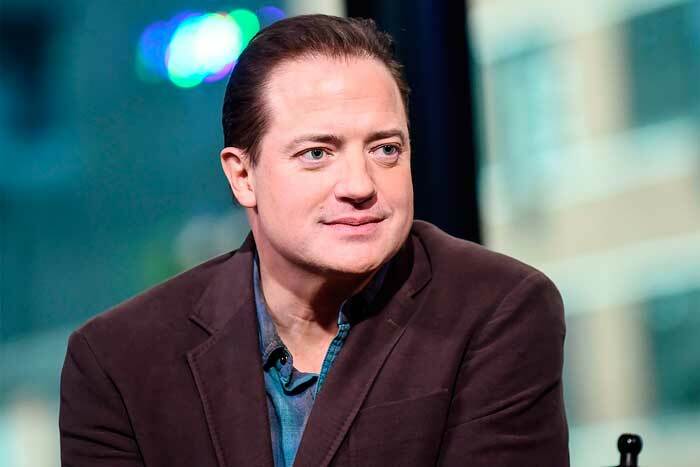 You know Brendan Fraser from his appearance in the Mummy series or The Affair series. The Canadian-American actor’s only marriage was to actress Afton Smith; it lasted for 9 years and the couple had three children together. In 2007, just before their divorce, they sold their house receiving about $3 million dollars for it. Their three boys’ child support was estimated at a bit more than $900,000 annually. At first everything went well, until in 2013 the actor showed up in Connecticut and tried to bring the sum down. Fraser insisted that it was too high for him. That started a legal battle between him and his ex Afton Smith. Documents were brought forward to prove that Fraser was worth only $205,000. They showed the Mummy star’s expenses; it appears Fraser spends about $112,000 professionally, plus about $8,500 on household (staff and gardening) monthly. 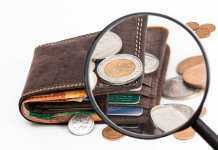 Consequently, he cannot afford more than $25,000 child support. It turned out that he loses about $85,000 and more every month while his expenses remain like that. Needless to say, in Afton Smith’s opinion he is cheating. According to her he earned heaps of money acting in Extraordinary Measure, Furry Vengeance and other movies and concealed his earnings. At her estimation her ex-spouse should have in the vicinity of $25 million. It only remains to be seen what the court ruling will be. The youngest in the Baldwin family, Stephen Baldwin is an actor and a producer. In 1990 he married Kennya Deodato, a graphic designer from Brazil, who gave birth to two daughters. He could have lived happily and successfully like his elder brother Alec, but something went wrong. His lavish spending led to his filing for bankruptcy in 2006. Stephen was reported to have accrued a debt of over $2.3 million on his property in New York that is worth only $1.1 million, also he owed more than a million on two mortgages on the property and about the same sum in taxes. As if it wasn’t enough, he ran up an impressive credit card debt (according to court documents the sum is around $70,000). Yet it was only a beginning. After several years’ time the bank sued Baldwin for failing to fork up payments on house. As a result the house was foreclosed and the bank purchased the million-dollar property for $100 only. Then he had tax problems, having omitted to file his New York State tax returns for a number of years. Stephen Baldwin had to agree to reimburse $300,000 in the following year to avoid 5 years of probation. Alec commented that Stephen ought to have been more careful and save money for paying taxes instead of blowing it the way he did. 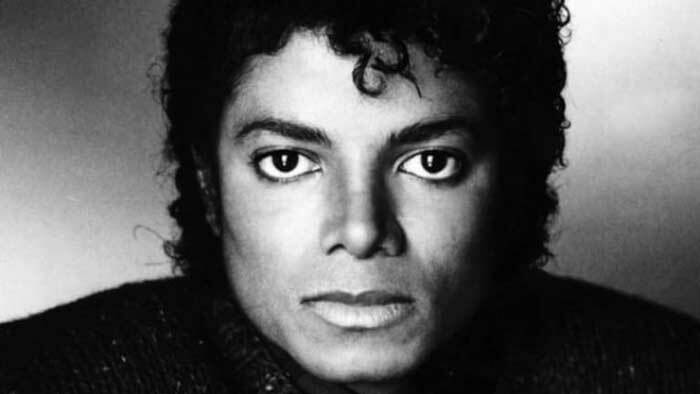 The acknowledged King of Pop with his unique songs, his own dancing style, his onstage charm became a legendary recording artist during his lifetime. Nevertheless, when Michael Jackson died, trailing behind him was a debt that many people won’t be able to imagine. How did Jackson come to owe millions? In 1991 he borrowed from the Bank of America a hefty sum of $380 million that was supposed to supply the extravagant lifestyle he was accustomed to. The loan was expected to be paid back from his album sales and touring. Unfortunately, Jackson got embroiled into various scandals resulting in a rapid decrease of his album sales. His endorsement deals folded too. What with the singer’s commitments to 39 charities, he found he didn’t get enough money to repay the Bank. It was a scandalous situation, what’s more, he had a court trial coming. Jackson had to meet his court trial expenses that came to more than $20 million. The trial proved to be a destructive event with a lot of lawsuits brought, among them a monumental $1 billion tax bill – Jackson failed to pay taxes on his famous Neverland Ranch estate. Now he had to rack his brain where to get money for repayment, and he decided to announce comeback concerts that would be his “curtain call.” Besides, he planned to start a clothes line. But all these projects were not meant to be: the King of Pop passed away leaving behind a $500 million debt for his children to deal with. It was a pity he is also remembered for messing with the tax inspectors. If we are to believe Forbes, Nicholas Cage is among the top-earning actors in the history of the movie industry. 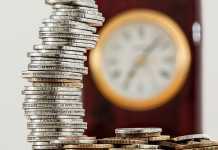 In one year, 2009, he managed to earn $40 million – who else can do that? But it turns out that even so much money can be squandered away. As Cage’s earnings grew, so did his lifestyle expand. In the same year he was surprised by the IRS who presented him with a tax lien for over $6 million. Cage seems to have believed it occurred because of his financial manager’s negligence, but most people are inclined to blame the actor’s lavish financial attitude. Cage has got an impressive history of purchasing: he was known to outbid Leonardo DiCaprio in buying an ancient relic – a Tarbosaurus skull that set him back $300,000. He buys unique animals regularly; he already has a shark, an alligator, two albino king cobras, and more. Then, Cage buys property, like a 40-acre island that cost him $7 million. Does he really use it that often? Cars: he purchased a rare Lamborghini Miura SVJ for $450,000 off the Shah of Iran twenty years ago, and that is only one of his cars – he prefers them specialty and vintage and they cost a lot. Yachts: he acquired 4 of them, one for $20 million. His penchant for historical items, artwork, property and vehicles that cost millions of dollars can prove his undoing. Now some of his estates have been foreclosed, he is involved with a legal battle with his manager, yet the spending spree doesn’t cease. Those who saw Pamela Anderson (like in Baywatch) remember her acting – and her gorgeous body. She raked up millions for her appearance in movies. Anderson could have been a very rich woman if it weren’t for her clashes with the IRS that pressed her for repaying overdue taxes. Eventually five years ago she was forced to sell her house in Malibu for almost $8 million to cover the payments. Several construction companies filed lawsuits because she neglected to pay their bills. With her back against the wall, Anderson lived in a trailer park for some time. (Look around the trailer park in your vicinity carefully – who knows who you can meet there?) The Baywatch’s star got so entangled in her tax problems that the California Franchise Tax Board included her name on the list of top 500 delinquent taxpayers when the sum she owed exceeded $500,000. Anderson makes out the debt is not her fault at all. Neither, according to her, is she broke. Another person may have admitted to their shortcomings and secured assistance for getting out of deep water, but the actress never minds having failed to pay her taxes. It is not going to hamstring her carefree spending lifestyle. Mike Tyson, a retired professional boxer and the undisputed world heavyweight champion known as “The Baddest Man,” took his share of hard knocks, among them financial ones. Although his professional earnings come up to $300 million, all this money seems to have gone up in smoke, and back in 2003 he filed for bankruptcy. They say his debt came to $23 million and more. The world’s most popular heavyweight confessed that his big checks got him frittering the money lavishly. It may have been due to his alcohol and substances issues, but it doesn’t change things. Tyson unable to repay, his debtors had to take his assets to get their money back. The list of the boxer’s expenses runs the habitual line: partying, buying cars, wild animals. He could splurge about $400,000 to throw a party. He spent thousands of dollars on his garden and bought a bathtub for $2 million (studded with gems?). Tyson was reported to have picked at a jewelry store a diamond-decorated chain worth $173,000 for which he never paid. While he has never been thrifty in his life, the sum of his unpaid taxes grew to $20 million. Would he be able to sort it out and get the clean bill of financial health? 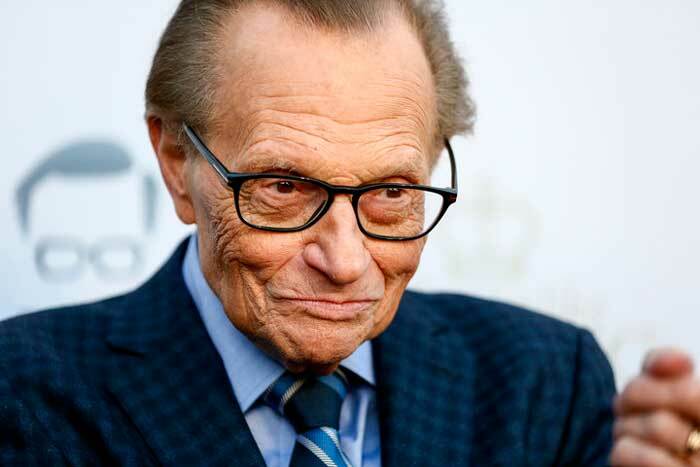 Larry King has been around for years and years, working as a television and radio host since the 1950s, handling a row of programs like Larry King Live, Larry King Now and Politicking with Larry King. There are few important people who haven’t been interviewed by him. But at the beginning of his career he was hampered by financial problems. When he worked as a radio host and interviewer in Miami he earned good money and that set him off spending. He bought expensive cars and started betting at races. After several years of this lifestyle he was washed up without his wife, his job, and with a dizzying debt. Then, in 1971, he was charged with larceny by a Wall Street business partner. The charge of appropriating $5,000 was eventually dropped, but his career seemed all but spent. He was chased from the radio and found himself jobless, piling up debts. Later King admitted that he was irresponsible with money, and, his debts making up $352 thousands, there was nothing for him but file for bankruptcy. His life had a new start as he managed to get a job on the radio again, and from then on he never looked back. Stanley Kirk Burrell, MC Hammer professionally, rose to fame as a hip-hop artist and produced a string of hits like U Can’t Touch This at the end of the last century. In the 1990s, when he was vastly popular, Hammer raked up $33 million. If you think it’s a large sum, the best rapper and dancer of his time didn’t agree with you. His money flowed like water. He had 200 employees to see to his affairs, and the upkeep of the personnel cost him $500,000 monthly. He owned a recording studio, a private theatre, a garage housing 17 cars, several tennis courts. His mansion was worth $30 million – plus massive investments put into furnishing it. Besides, Hammer possessed Oaktown Stable where he kept 19 thoroughbred horses whose price was counted in million dollars. There were cars, helicopters, private jet planes that also cost money. What’s more, the rapper had to fight his share of copyright infringement lawsuits. So, his fortune vanished in thin air in a very short time, and in 1996 Hammer was an official bankrupt. To cover his $13 million debt he had to sell his house for much less than it was worth. After being exposed to media ridicule the legendary artist takes steps to resolve the situation. 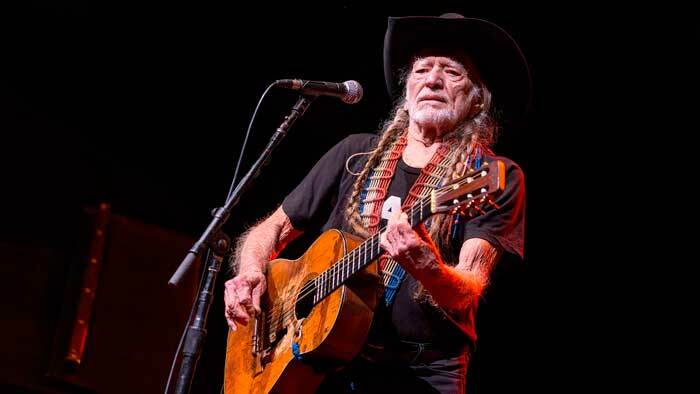 The country music’s icon, Willy Nelson is an acclaimed recording artist as well as a poet and an actor. One of the pioneers of outlaw music, he really looks odd on a list like this one… But he didn’t escape the financial trap of superstars. While busy with his songwriting and recording, he neglected his tax duties for years until he ran up a debt so huge that it was reported back then to be among the biggest individual federal income tax bills issued by the IRS. Nelson’s unpaid taxes were summed up at $32 million. His lawyer succeeded in bringing down the sum first to $16 and then to $6 million, but it didn’t save the singer who was still unable to meet the demands. Even after the IRS seized and sold his properties, the debt didn’t dwindle that much, even though there were more than 20 items including a recording studio, the Pedernales Country Club, and Dripping Springs Ranch. Finally the IRS agreed to let Willie Nelson release an album whose proceeds were to repay the debts. Accordingly the country star made the album called The IRS Tapes: Who’ll Buy My Memories? in 1992 which helped Nelson to refund only $3.6 million leaving $9 million more, the debt he later succeeded in satisfying. Previous articleCan You Work Less & Get More Done?